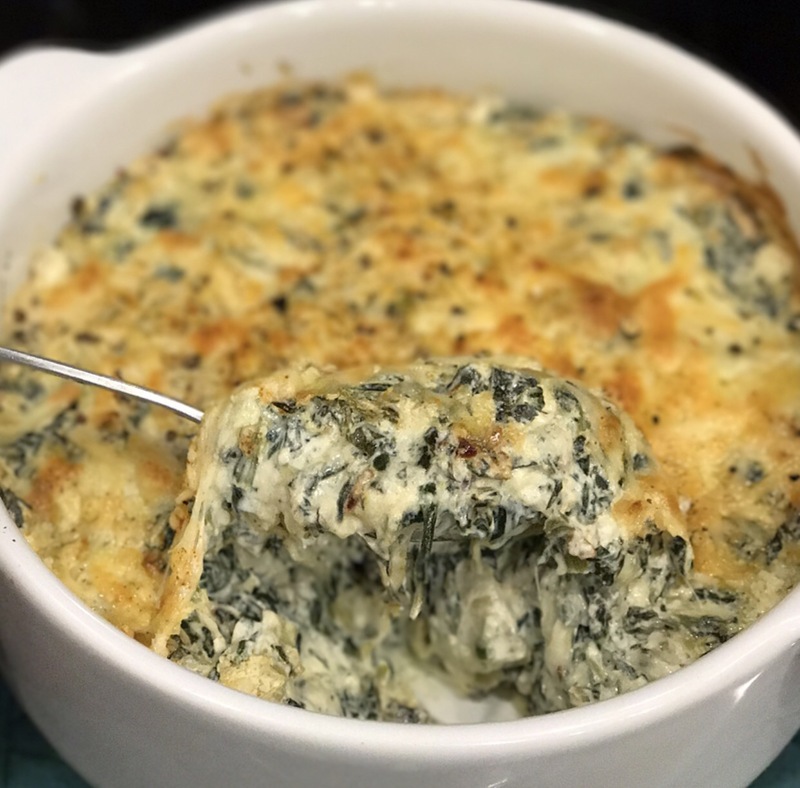 Jalapeño Spinach and Artichoke Dip – My life as a Professional.Foodie.Hoosier. Is there any better game day snack than Spinach and Artichoke dip? Yes. 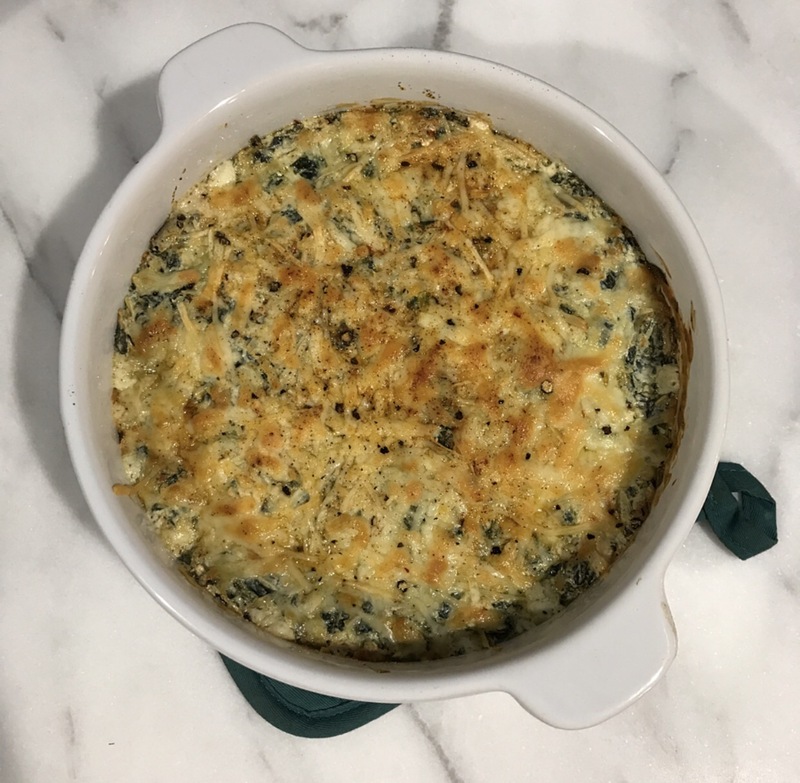 Jalapeno Spinach and Artichoke dip. I’ve been making my own recipe for years, but always tweaking it as I go and adding jalapeño seemed like a no brainer. Tonight is one of the first cool Bay Area nights, the kind where it feels like it could thunderstorm at any moment (rain would be totally welcome to calm down these horrendous Nor Cal fires). Tonight called for a lemongrass chicken pho from The Defined Dish and a little dip starter to warm us up. Lately I’m not used to making such heavy dishes since switching to a healthier, primarily Paleo or Whole30 diet, but some comfort foods will never lose their place with me. #youcantakethegirloutofindianabut…. This is such a quick and easy app for any evening or game day potluck. It’s a fav among my friends and you can use it as a base to add whatever you want to make it more substantial. Chicken, ground beef, sausage, crab…. whatever you’re feeling! Top with a sprinkling of pepper jack, Parmesan, and a pinch of salt and cayenne for color and added kick. Bake for 20-25 minutes until golden and bubbly. If it seems bubbly, but not browned, broil on high for a minute or so- just keep a close eye so it doesn’t burn.